The Sailor’s Multi-tool Mini is a lightweight alternative to a steel tool. Put a 1/2″ and 7/16″ wrench, a screwdriver socket and a shackle key in your pocket with this lightweight & rust-proof tool. It’s the perfect companion for the Multi-tool MT002. The Multi-tool Mini is easy to store and made of tough Delrin®. The Sailor’s Multi-tool Mini is a lightweight alternative to a steel tool. Put a 1/2″ and 7/16″ wrench, a screwdriver socket and a shackle key in your pocket with this lightweight & rust-proof tool. It’s the perfect companion for the Multi-tool MT002. 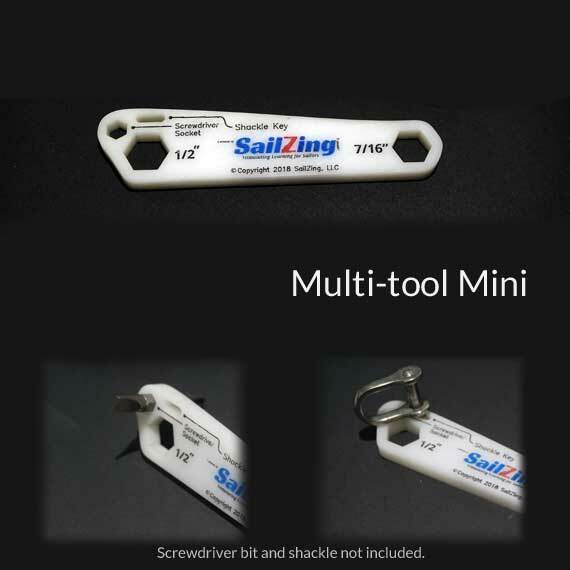 The Multi-tool Mini is easy to store and made of tough Delrin®, a high performance plastic. Sure, it won’t replace wrenches for really cranking down on something, but this is much more convenient to carry and store on the boat than a tool box. Nobody wants extra tool weight on board while racing. 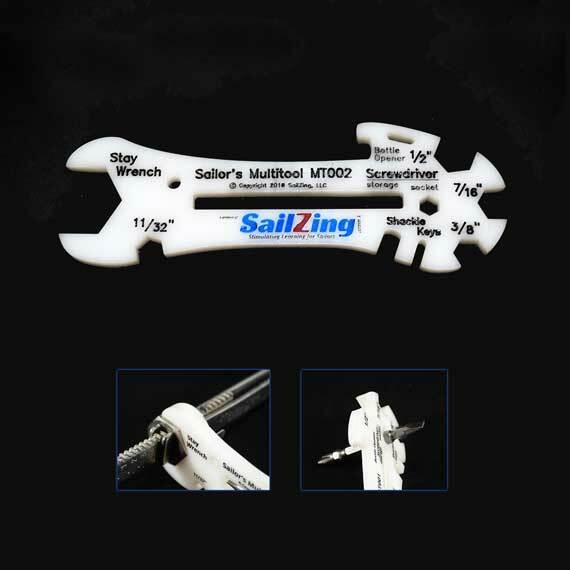 We designed the Multi-tool products by asking our fellow sailors what wrench sizes they needed most for the scows and dinghies that we sail. They thought of nuts for gooseneck fittings, cleats, sidestays, StayMasters®, rudders and more. Then we added a shackle key to loosen tough shackle pins and a socket for a screwdriver bit. 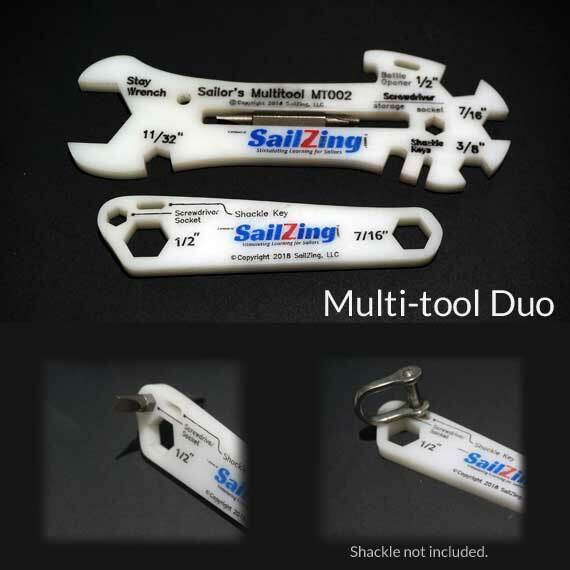 This is an add-on to the regular SailZing Multi-tool or it makes a convenient addition to whatever tools you already have. Get the Multi-tool Duo to get the original Multi-tool and the Multi-tool Mini as a set.